It doesn't matter if you lock your car or truck. 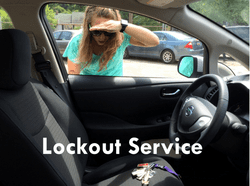 If you've locked yourself out of a vehicle then call us for our unlocking service. We've got the experience that can get you back into your car in a jiffy. Nobody likes to get locked out of their vehicle. It's a preventable bind that people often put themselves into. So, no need to worry if you've just done this to yourself. We help folks with this all the time! In fact, this along with running out of gas are the most preventable problems that have people calling for our roadside assistance services. We're able to get within to any spot around Elizabeth, NJ within 35 minutes at all hours of the day, everyday.